Apple’s Worldwide Developers Conference this year came with very few surprises—a new OS X, iOS 9, Apple Pay in the UK and watchOS 2. Even the ‘one more thing’ tease was too obvious with the introduction of Apple Music, the company’s new music streaming service. No one, however, expected the iOS passcode to become more irritating by requiring 6 digits. It’s the smallest of things that people always like to moan about nowadays. In fact, I will join this first world problem revolution and say it—yep, the six-digit passcode is annoying. At WWDC, Apple placed strong emphasis on security, claiming that their users’ privacy is up their pecking order. I respect that, and truly hope this is true; we have all heard about Apple’s former disregard for privacy when using location tracking services. Apple expects the six-digit passcode to be less prone to bruteforce solutions that have recently appeared on the market. Such devices have been able to take between 6 seconds to 17 hours to bruteforce a four-digit passcode. Traditional bruteforcing would take longer to unlock an iOS device given the 10,000 possibilities of a four-digit passcode, which can include letters as well as numbers. The new six-digit passcode requirement would be up to 100 times hard to crack. Regardless, six-digit passcodes will be an even greater hassle than four-digit ones. TouchID has always been the better and faster security measure that makes everyone forget about unlocking a device. This makes one wonder if Apple’s six-digit passcodes come as a double-edged sword. It’s true that six-digits are more secure, but also more annoying, which makes TouchID feel even more of a breeze, thereby making the user more keen to buy the latest iOS devices. Android M, the next version of Google’s mobile OS was recently highlighted during the company’s I/O event and it sure packs an awesome set of goodies. You might just ditch that antiquated device you’ve been holding on to for way too long once you see what it has to offer. It’s true that each new Android update has brought improvements but 6.0 will come with some groundbreaking new features that will take the smartphone experience to a whole new level and make this ecosystem even more popular than it already is. 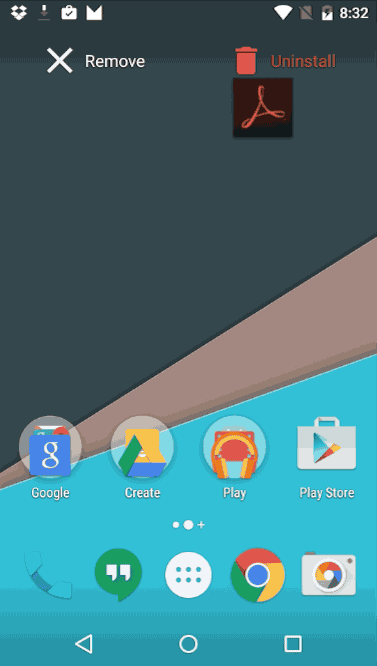 With that said, here are our favorite 10 features Android M brings to the table. There are certainly more than the ones listed below, but we had to pick, and we do love being picky! Everyone already knows the app drawer so let’s just get this one out of the way first. Actually, you can even get it on older Android versions right now, unless you’re already rocking Android M Preview on your Nexus device. The app drawer introduces vertical scrolling and displays apps alphabetically. Because it simply makes sense, at the top you will see the last four apps you downloaded and there’s also a much needed search bar. Perhaps, before or sometime after the official launch of Android M, the folks at Google might just let us customize those 4 apps. 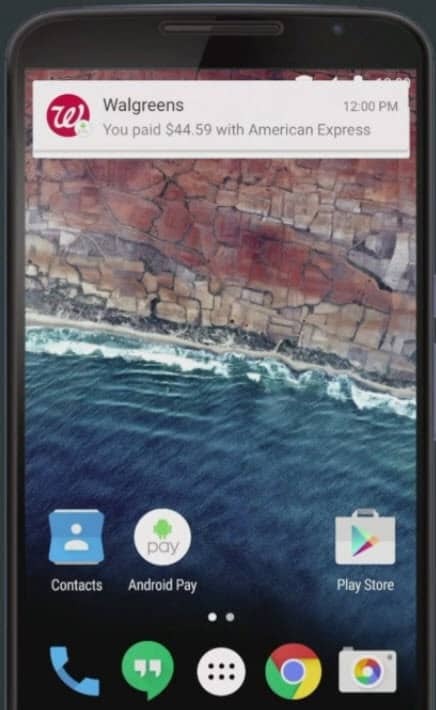 Android Pay is Google Wallet’s replacement and it will be preloaded in Android M – for Verizon, AT&T and T-Mobile users. It supports all major payment methods and it lets you purchase via apps and NFC terminals. It’s already supported by American Express, MasterCard, Visa and Discover and it will be available in over 700,000 stores in the U.S.
Android Pay will also have support for fingerprint reader, altough you’ll only be able to make use of it, if your device comes with a finger scanner. Furthermore, you’ll also be able to use fingerprint authentication to verify Play Store purchases as well as unlock your device. This new capability can be implemented by devs through a set of new APIs. These allows them to add granular sharing options, but it also means the feature is not built into the OS, and may or may not be supported on a per app basis. Thanks to direct share you could, for example see a list of people you frequently share stuff with in your favorite chat app and from then on, share more items quickly via these icons. Like I already said, the feature can be implemented in a variety of apps, although it will ultimately be the developer’s decision. In the end, any app that has content worth sharing could benefit from this capability. Hopefully, developers will see the potential and implement it, so we’ll benefit from direct share in more than just a few random apps. We’re really excited about this one. Doze is a smart feature that harnesses the power of your device’s sensors, detecting when it hasn’t been moved for a long amount of time. Once this condition is met, it automatically shuts down processors and disables various services such as network access and WiFi. While ‘doze’ is active, it will however perform regular scans for updates and new messages. You might already suspect the most important effect brought by this feature – increased battery life, and a lot of it! 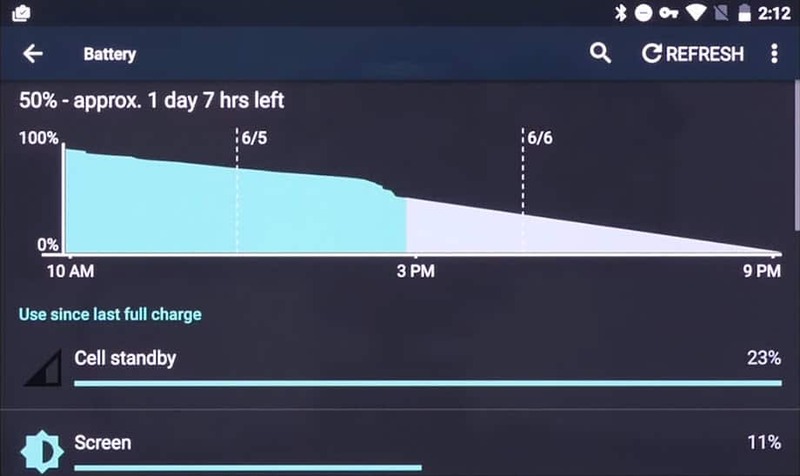 According to Google, they tested Doze on a Nexus 9 and it managed to double the device’s battery life. 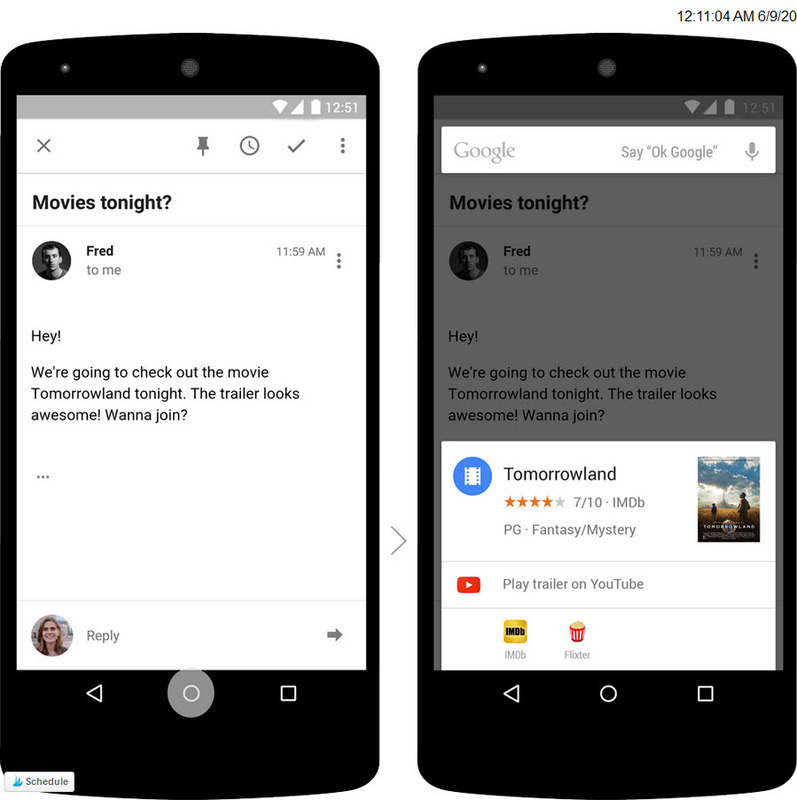 Google Now integration becomes much more powerful with Now on Tap. Based on what you’re viewing on your screen, this virtual assistant offers contextual information plus it lets you ask non-specific questions since it already knows what you’re talking about. Say you’ve been listening to Rihanna’s latest hit and you can’t remember what was the first song that made her popular. You can ask your question without having to mention her name – the assistant already knows you’re referring to her. Now on Tap also lets you, for example, tap on an image of a personality and learn more about him or her, tap on a movie’s name to get its IMDB profile and other similar information Google Now already provides, but with far less steps to get to it. Google says Now on Tap is only in its infancy right now, and we’ll see it leveraging the in-app context even more in the coming months. Installing apps right now from Google Play can be really confusing at least when it comes to the initial app permissions screen. Besides the fact it usually shows a laundry list of app permission requests, users get no control over them. It’s pretty much a ‘take it or leave it’ kind of deal. 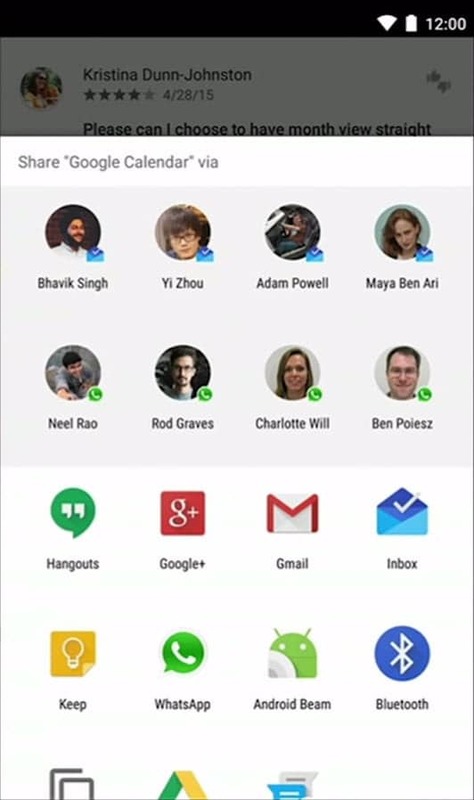 In Android M things are going to be so much different. 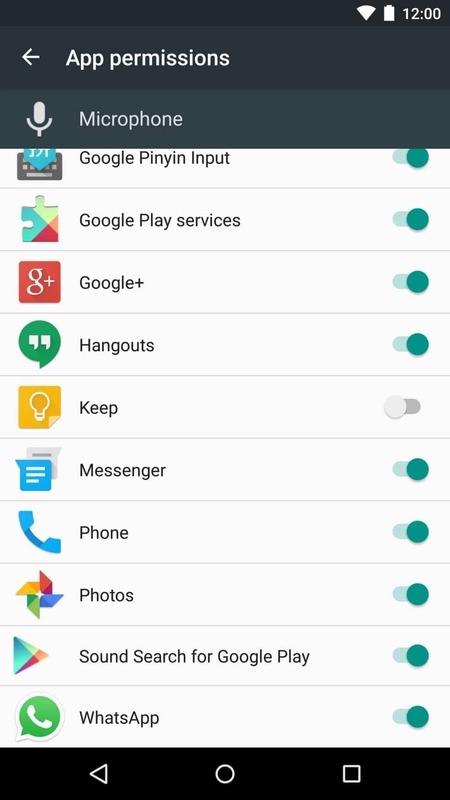 App permissions are grouped into 8 categories such as Camera, Contacts, Location, Phone, SMS and so on. an installed app will ask permission to access one of these categories the first time it actually needs to use it. Thus no more outrageous permission requests we can’t control. 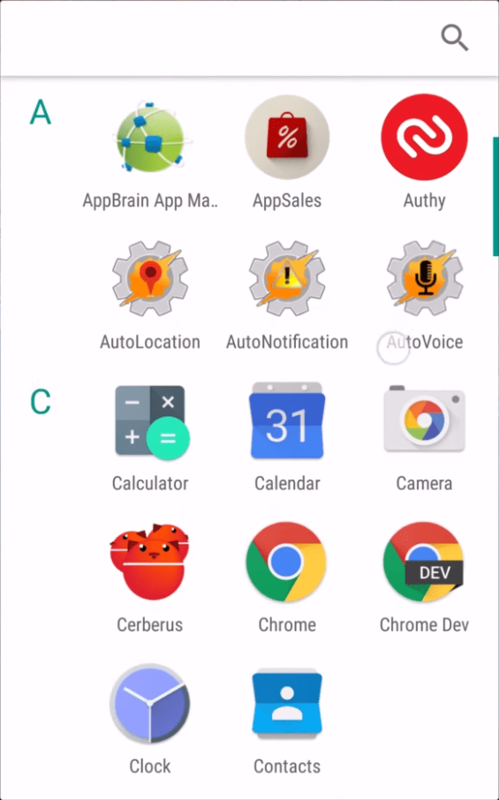 Moreover, you get to see the complete list of apps that can access all of the 8 areas of your phone and enable/disable any of them whenever you want. Hurrah for this one! Finally we’ll be able to simply long press any app on Android M’s homescreen and uninstall it or just remove its shortcut. No more separate actions for removing the shortcut and then scrolling through the app drawer to actually find the app and uninstall it. A really simple feature, that Android users really needed – better late than never! I can easily tolerate a lot of white on my desktop, but on phones and tablets not so much. I also hear the same from most other people. A lot of apps offer dark themes as a premium feature, so I guess I’m not mistaken on this one. 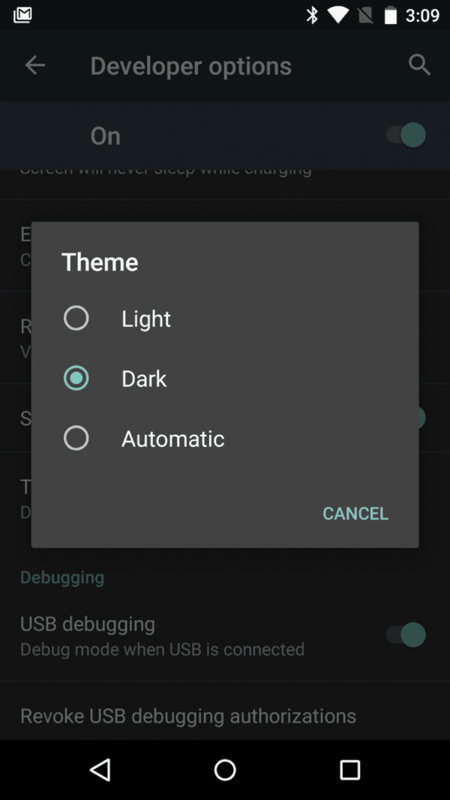 Android M will offer a dark theme for all its settings and menus – besides going easy on the eyes, darker colors can save battery on AMOLED displays. It even has an ‘automatic’ mode that uses the dark theme only at night and the white color scheme during the day. Sadly, the app drawer remains white regardless which theme you are using and for now, there are no other theme colors, although hopefully there will be soon. Time to geek out! 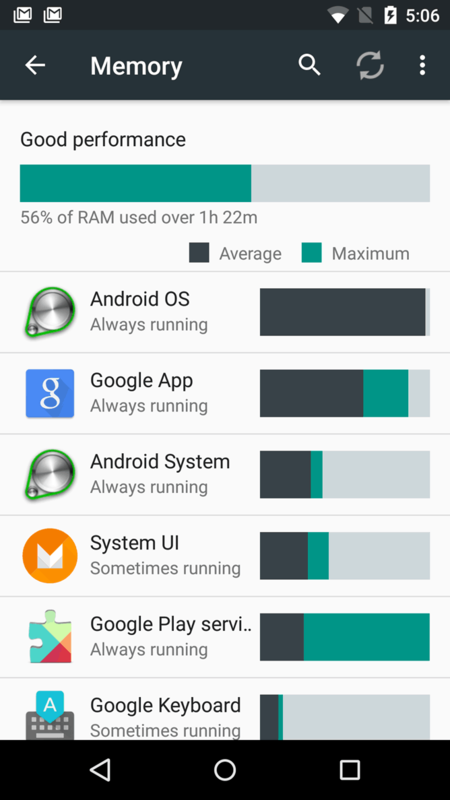 The new RAM manager will show extra information – compared to what Android Lollipop shows. You’ll be able to see both current and recent RAM usage for each app and the slider at the top shows the recently used RAM with a rating. Because visual is always better than numbers the light green bar you can see displayed for each app in the image above shows the maximum RAM used recently by the app and the dark green one is its current average memory footprint. USB Type-C is not exactly mainstream, but we just can’t help ourselves to be excited thinking of its potential. Also, the fact Google already implemented support for it, means the new port will become the new standard sooner than you might think. When two devices connect via USB Type-C a menu will appear, letting the user select the type of connection. Besides photo transfer and regular charging you’ll also be able to use the device for MIDI input or to charge another device. While it wouldn’t make sense to use your phone as a power supply for your laptop you could hand over some juice to another phone or a camera battery, as well as use a device with a bigger battery to charge yours. We love the flexibility offered by this feature and it can surely be a life saver every now and then. These are our top 10 favorite features of Android M. Some choices were hard, and we were definitely subjective at times. We’re looking forward to seeing the official version and perhaps other new features may appear until then. In our daily activities, we probably use our smartphones quite a lot. And let’s face it, one of the biggest problems that we still have is the fact that you need to recharge your smartphone almost every day. So, here is a phone that seems to do things differently because the developers did something unique and attached two batteries to it, that seem to guarantee a large period of time for intensive use. Searching for the most durable smartphone? Why not get a smartphone containing two batteries in the same package which automatically switches without resorting to bulky cables and accessories? Sounds pretty good and let’s face it nobody would mind having a phone that can be used with no problems for more than a few days. Actually sounds too good to be true but this is exactly what is going on. Admitting the problems, the Chinese manufacturer fromGionee will launch the Gionee M5, a powerful smartphone equipped with two batteries, together providing up to 4 days of use without worry. Working in hot-swap configuration, batteries can be replaced without turning off the mobile phone. The user has the possibility to earn extra battery life resorting to the extra juice. Brought to public attention with a teaser posted on social network Weibo, Gionee showed an interesting image presentation and list of specifications that at first glance sounded really good. And a great part is that the phone is also very affordable because you will not see any huge price tag. Meanwhile, another Chinese manufacturer showed a possible rival for M5. The price will be between $160 to $290. Innos D6000 is a smartphone with two batteries of 3520 mAh and 2480 mAh, together offering a capacity of 6000 mAh. Like the Gionee promised, the new D6000 allows replacement of one battery without switching off the device. According to the company, Innos D6000 allow 3-5 days of intensive use or 60 days in standby mode. D6000 can charge both batteries simultaneously, significantly shortening the waiting time. Variant price will be of $290, modernized octa-core chipset of 1.8GHz (Snapdragon 615), helped by 3GB of RAM. Specification list mentions the presence of a 5.2˝ screen with 1080p resolution, dual-SIM support (4G connectivity on both cards), 16MP camera with F2.2 aperture, the front camera of 5MP, USB 3.1 connector. The phone has a dimension of 144 × 72.2 × 11.9 mm and comes with Android version 5.0. The $160 model come with a different configuration using a less expensive MediaTek chipset with 2GB RAM helped. For this great price we do get a lot of features from Gionee M5, we do have to say that there aren’t a lot of smartphones in the market that can match this kind of offer. But, of course, there will be people who will be sceptical about its efficacy. Why do we have to trust the developers? And probably the best answers that we can give them are, the developers are making a public commitment that they do indeed plan on bringing the entire experience to the user so that they can experience it first hand. So take this into consideration before judging them too harshly. So knowing the details of this phone what are you going to do? From the way we see it, Gionee M5 should have your attention quite fast and the price might be the best on the market. Are you going to give it a try or at least think about the possibility to get one for yourself? If so don’t hesitate anymore and get down to business because the faster you have it the faster you will be able to enjoy this new experience. Be the first in your friends group that goes for such a phone and surprise them with your gadget’s performance, they will definitely be impressed by it and you will get a lot of attention. I do not have a track-record of being unnecessarily hyped by upcoming mobile devices, because most times they disappoint and it hurts real bad. However, the InnJoo Fire has thus far proved to be different, InnJoo has effectively given a very tough competition to other smartphone vendors targeting Nigeria’s emerging market. InnJoo Fire is Nigeria-centric, in other words, the smartphone is specially designed for Nigerians who have proved to be heavy mobile users. Of course, this would mean that they require sophisticated internal components under the hood. Smartphones with such capability do exist, but they will cost an arm and a leg to proudly own one. That gap is what InnJoo has attempted to displace with the Fire smartphone. Did the company succeed or is it another Amazon Fire phone which ended up being an embarrassing flop? We will find out! InnJoo silently entered the Nigeria mobile market a little over a year ago, it’s been quietly gaining traction with the brand, the One smartphone launched in the early part of 2015 was an aesthetically pleasing phone, which has now been complimented with the Fire smartphone that appears to be gaining surprise popularity across Nigeria. Without wasting much time, let’s dive deep into the InnJoo Fire review. InnJoo Fire rocks a 5-inch IPS capacitive touchscreen, on direct sunlight it wasn’t that bad with auto brightness turned on. The display supports a resolution of 960 x 540. This is a minor let down, although complimented by other features that makes the smartphone value for money. On the design side, InnJoo Fire comes with multiple colours – classic black, elegant white, luxury gold, and natural bamboo yellow. The device has a firm grip and offers standard buttons. The power button is located at the left side of the device, while the volume rocker key can be found just at the right side of the smartphone. Let me pause to say that InnJoo Fire doesn’t have one of the best camera out there, the rear and front-facing camera is slammed with a 5 MP sensor. I do not know if the rear camera was sacrificed to compliment for the front-facing camera which does output impressive selifes with great composition. The 5 MP rear camera is well position at the back, top edge of the smartphone. It is accompanied with dual LED flaglight. Despite having 5 MP shutter camera, I have little or nothing to complain about the Fire smartphone since images taken passed the average mark. However, if you insist on getting more megapixels which doesn’t really equate to better image quality, then this smartphone is not for you. You may have to get the InnJoo One which has an impressive 13 MP sensor. InnJoo didn’t include a 4G radio on the smartphone. You will be limited to 3G connectivity. In exception of Lagos, 4G hasn’t really taken off in Nigeria, so this should really not be much of a problem. Before you insist on 4G, you have to know that LTE connectivity is a battery drainer. In Nigeria, turning on the 4G network, if available, could be disastrous considering the poor power infrastructure. Unlike established markets, where power is uninterrupted, no one really cares much about battery issues because there is always a wall socket to hug. Haha.. If you know what I mean.. The smartphone doesn’t come with NFC, you don’t expect that. Do you? There is WiFi and Bluetooth to make your connectivity issues easy, however. This is where InnJoo Fire scores high. The smartphone is powered by Mediatek quad-core chipset clocked at 1.3GHz. It effectively uses Mali-400 GPU, coupled with an unbelievable 2 GB RAM. Surely, that wasn’t a typo. It’s a massive 2 GB RAM slammed in this pretty device. These internal components under-the-hood does the give the smartphone speed and power, the performance in greatly enhanced for multi-tasking and gaming without lag. The new-gen GPU also complements with better colour display. The 2 GB RAM slammed on this device makes the smartphone the new king of mid-range devices in Nigeria. It’s affordability, speed and performance blows other smartphones out-of-the-water. This isn’t one of those ridiculous smartphones with 8 GB internal memory. I mean, InnJoo does almost everything right with the InnJoo Fire while keeping the smartphone under N20,000 ($90). It blows my mind seeing what the mobile vendor could achieve, using quality materials and offering the device at a very cheap price. You have to forgive me if I am over-stretching the price-tag. I just feel like I have to lay more emphases on it, because the price tag was never anticipated, considering there are other smartphones which can’t pull-off these kind of specifications but enjoy a fairly high price tag. On the Fire smartphone, you have 16 GB of internal memory which could further be expanded via microSD cards. The max that can be accepted at this time is 32 GB external storage. 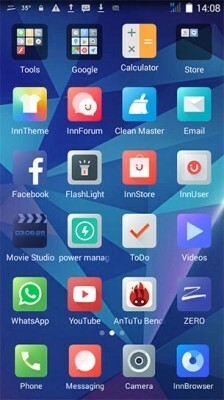 InnJoo Fire runs on Android 4.4 kitkat, implementing its custom UI called InnUI, it provides stylish lock-screen animations and lots of other features. There is load of built-in apps on the device which can immediately keep you busy one your first usage. There is a 2500mAh battery available to you, which can be revealed when you remove the back cover. The battery is further optimised by InnUI with built-in power saving options that ensures you get the most out of your smartphone. Whether you are a light user or a heavy user like me, the battery life is impressive enough to keep you running for the day. 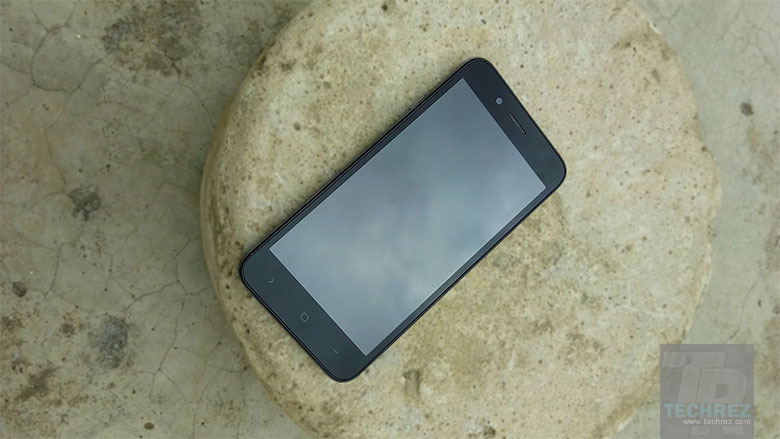 InnJoo Fire has ended the mediocre specifications available to mid-rang smartphones designed for emerging markets. It has raised the benchmark for emerging markets. With 2 GB RAM, you get optimal performance and enough resources for gaming, which is further enhanced by it quad-core processor and GPU. The smartphone is 8.9 mm thick and weighs only 162g. For me, what dropped my jaw is the sweet price spot. The price tag complimented for some features that were under-looked. This surely helped the InnJoo Fire gain higher review score. No doubt, the Nigeria mobile market has just been rejuvenated and it’s the InnJoo Fire that has made that feat entirely possible. In the smartphone world more and more energy is dedicated to creating a better gadget that has many more features than previous models and that can do all kind of things that you never had thought a phone might do. Indeed, this is a great thing for us as users but don’t you ever get the feeling that you would love to return to a simple and classic phone that is not really focused on getting all features into one simple phone and does a great job with them. Well, we really took this thing into consideration and we did manage to find a new phone that combines an interesting look with basic features and the result is a great one too. A fun to use and friendly phone that really looks different. UTOK has completed its range of mobile phones with Dorel 2. The first feature phone model in the company, offer a simple and practical housing design of “candy bar” and IP68 certification, adapted to provide adequate protection in work environments contrary to the usual electronic equipment. The phone UTOK Dorel 2 is guaranteed to withstand shocks caused by drops of up to one meter and immersion in water depths of up to 3 meters. UTOK Dorel 2 focuses on communication, 2000 mAh battery providing generous autonomy up to 15 hours talk time and up to 330 hours operation in standby mode. So yea, you don’t need to make any complaints regarding the autonomy part. You do get a lot of time when it comes to using the phone and to charging it back doesn’t take much time either. And if we really think at this aspect many other phones do not really manage to survive more than 15 hours, Dorel UTOK 2 you have our gratitude for this thing. Officials declared that “Dorel UTOK 2 is our first foray into feature phones and is the solution for those who make phone calls and full safety on top”. Therefore, Dorel UTOK 2 provides IP68 protection standard, the most powerful of the current range UTOK, and a battery that provides up to 7 days of use. In addition, Dorel UTOK 2 is equipped with Dual SIM technology, with coverage on all frequencies currently used by mobile operators. We believe that simplicity and the increased protection offered by Dorel UTOK 2 will be the perfect phone for customers with the most demanding working conditions, “said Cristina Bartan, Marketing Manager UTOK. Hard plastic casing accommodates a screen with a resolution of 176×220, torch easy to use, the micro USB connector is protected with a tight lid, internal micro SD slot for additional memory. The equipment list is complemented with an FM radio, 0.3MP camera, Bluetooth 2.0 connectivity respectively for use with wireless accessories. Should we really trust the quality of such a phone? The answer is obviously yes just look at it, you do get the sensation that it can survive to any damage. From now on, you do not need to think too much when such a scenario happens because you know for sure that nothing will happen to it. The features are really ok for this low price phone. It really has all the basic stuff, micro SD slot a decent camera and Bluetooth connection. But if you are the kind of person that likes to spend hours on the internet and browse all kind of stuff you might not enjoy this thing too much because UTOK Dorel 2 misses and WIFI connection. But consider this phone a perfect occasion to escape the more and more demanding social media life. When you use this phone you might see it as a pause, getting yourself out of the system. So yea as you can see UTOK Dorel 2 is indeed a simple phone overall but because it does offer you all the basic features and because it really looks great from our point of view this might be a great choice if you were looking for something simple to use and fun at the same time. At Gadgets Repair we fix iPad screens same day! Call either Gadget Repair store for more information or stop by! Sony currently unveiled the Xperia Z3+ to the world, demonstrating an incremental upgrade from the last year’s Xperia Z3. Now we were notified you that it will be accessible in the summer with no confirmation of pricing or accessibility yet. You may pre-order from the site now for the 32GB version in Copper, Black and White with the delivering date set as “late June”. You are now be able to grasp up the Xperia Z3 for approximately 350 pounds on Amazon therefore, considering the only few changes in specification it may be worth your whilst reading our review and seeing if you want to grasp one up.